Based in Boulder, Colorado, Owl Canyon Press is a book publishing house that recently introduced a unique contest for fiction writers. Submittable helps the press organize, administer, and promote its one-of-a-kind short story hackathon contest. In 2016, a small group of writers decided to challenge themselves with a new writing prompt: They would craft an original short story using a pre-written opening and closing paragraph. 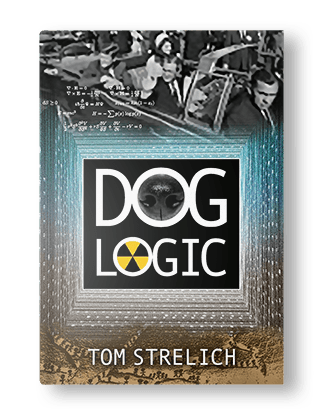 This exercise resulted in Tom Strelich’s novel (Dog Logic) — he started with the prompt and just kept writing. The exercise was also the inspiration for the Owl Canyon Press Short Story Hackathon, which challenged writers to draft 48 paragraphs based on a first and last paragraph provided by Owl Canyon Press. Now a contest-organizer and judge, Strelich was searching for a way to effectively promote the contest, but also manage its performance. As a writer himself, Strelich was familiar with Submittable and recommended that the press use Submittable’s software and marketing services for its first hackathon. Owl Canyon needed a solution that would get the Short Story Hackathon set up, announced, and promoted. Using Submittable’s robust creative network, Owl Canyon could gain visibility in the community of writers they were trying to reach and successfully get the word out about the contest. In addition to promoting and establishing the contest, Owl Canyon also wanted to simplify and organize their submission process. Prior to using Submittable, Strelich described a process of downloading files, moving them from folder to folder, and hand-coordinating which judge was reading which submission. “Submittable provides reviewers more time to read submissions since we’re not wasting hours filling out spreadsheets and such for sorting and searching. Submittable does all that,” Strelich says. Those submissions came from 33 different countries and included Owl Canyon’s three winners along with 24 more fantastic finalists. The work of those three winners, along with that of the finalists will be published by Owl Canyon Press in an anthology this fall. Now, just a few months later, Owl Canyon will partner with Submittable again to host its second Short Story Hackathon.